The people's pension comes in the SBI account. A special offer was started by the bank for them. The loan was introduced by the bank for the pensioners in the festive season. The scheme was getting loan from any processing fee without the pensioners. But now the scheme of SBI is being completed on November 30. The pension holder's pension comes in the SBI account. They have to submit their life certificate till November 30 in the bank. People who do not have their life certificates deposited by November 30. The bank can stop their pension. SBI has decided to close its mobile wallet SBI BUDDY. From 30 November it will be completely closed. If you are also using SBI BUDDY So, spend the remaining wallet till 30 November. SBI started its mobile wallet in 2015. According to the report, the bank's YONO SBI App is to stop this wallet. This app has more features than SBI BUDDY. BUDDY is being shut down for that. 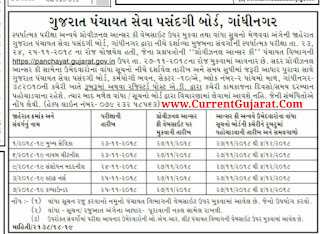 We Are Daily Updated Latest Gujarat & India Level All Types Government Jobs Like GPSC,Talati, Clerk, Teacher, PSI, Constable, Banks, Engineering Jobs And Other Various Jobs. We also Updated Various Exams schedule, Answer key, Result, Merit and Selection Lists. List of Candidates who have secured Minimum Qualifying Marks (i.e. 60% marks for GENERAL Category & 55% marks for SC/ST/SEBC/PH Categories) in the ELIMINATION TEST (OBJECTIVE TYPE - MCQs) held on 30/09/2018, vis-à-vis 3rd Centralized Recruitment Process for the Post of ASSISTANT on the establishment of the Subordinate Courts in the State of Gujarat. 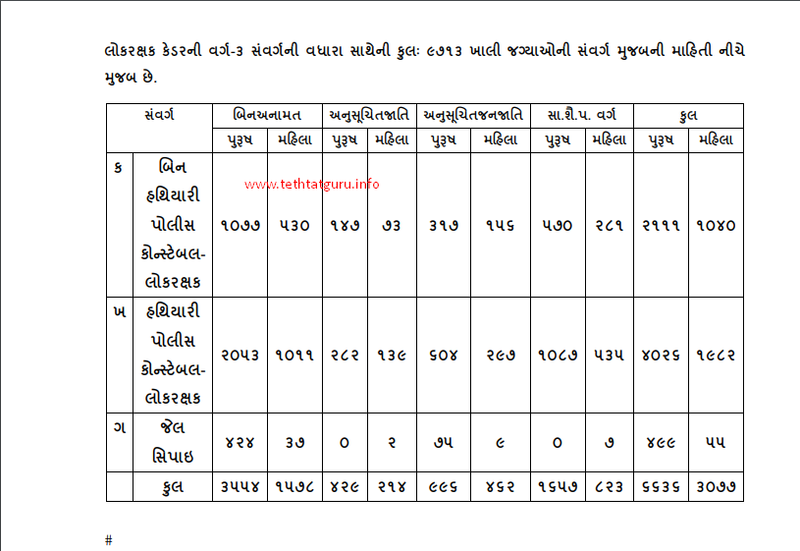 High Court of Gujarat has recently Announced the Recruitment of 767 Posts for Assistant. A Large Number of Applicants Filled their Online Application Form. The Process of Submitting Online Application Form Started from the Date 15.06.2018 & Conducted Till the Date 14.07.2018. Candidates Can Check the Detailed Recruitment from the Below Provided Link. There was a Negative Marking of 0.33 Marks. More Details About the Recruitment is Provided Below. 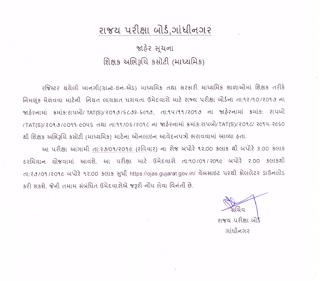 State Education Board Published TAT-SEC Exam Cancellation Notification on Website http://gujarat-education.gov.in/seb/. Earlier TAT-SEC Exam Conducted on 29-07-2018 at Various Locations of Gujarat. 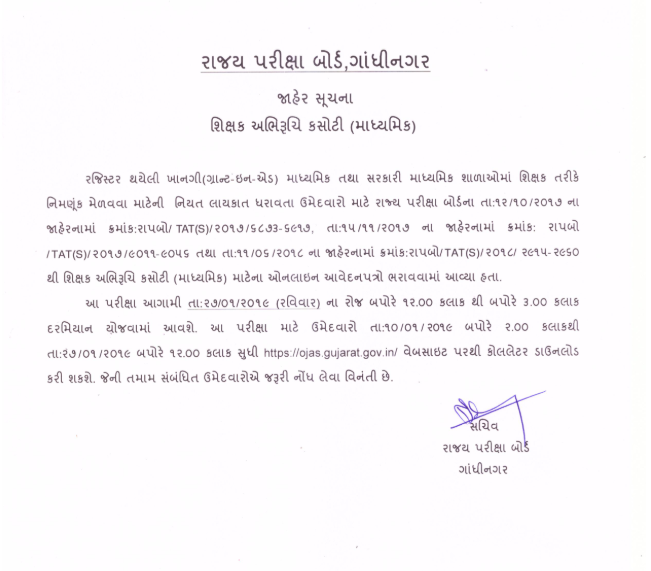 Due to Paper Leak of TAT-Secondary Exam this Exam Cancelled. TAT-SEC New Exam Date will be conducted in December 2018 or January 2019. All Candidate can Check TAT-SEC Cancelled jaherat From below given Link. Today gujarat state education board conducted the TAT Secondary Examination 29th July. Earlier SEB Published Advt. No. 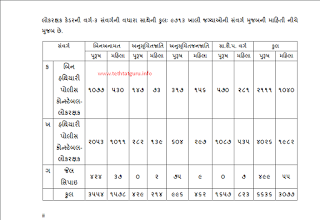 SEB/201819/661 – Teachers Aptitude Test 2018-19 to Higher Secondary Teachers in Schools in Gujarat. So here we are publishing the TAT Answer key of 29/07/2018 examination which was conducted by State Education Board SEB. if you are looking for paper solution and question papers then all that stuff is given below. you just need to read this post carefully. If we talk as per candidates point of view then the exam paper was very easy. applicants faces are looking happier after coming out of examination hall. There are tons of candidates who took part on Teacher Aptitude Test 2018. now they all are looking for solved OMR paper to confirm their right answers. if you are one of them then you came at very appropriate website. here you will get today’s htat question paper, OMR Answer key, Exam Paper solution and some other necessary information of TAT.